Not so long ago, patients had very few choices in correcting their imperfect smiles. Orthodontic treatment could correct crooked teeth, but not much could be done about teeth that were chipped, oddly shaped or discolored other than covering them with crowns, a procedure that requires a significant reduction of healthy tooth structure. Today, there are several effective, fast and minimally invasive options for improving the appearance of teeth. At-Home Whitening: You can achieve the same whitening results with an at-home kit provided by your dentist, who must first create custom mouth trays for you. These trays are to be filled with professional-grade whitening gel and placed over your top and bottom teeth. After wearing them for a specified time period every day for about two weeks, your teeth will achieve the same whitening results as an in-office treatment. In-Office Whitening: This procedure is performed in your dentist’s office. After covering your lips and gums to expose only your teeth, your dentist will apply a professional-grade bleaching agent to your teeth. He or she may shine a special UV light on them to accelerate the whitening action. Your dentist will repeat the process two more times at 15-minute intervals, and you will leave your appointment with teeth that are many shades whiter. Anyone with healthy teeth and gums is a good candidate. However, if you have tooth decay, sensitive teeth, gum disease or dental work on your front teeth, you’ll need to address these issues with your dentist before undergoing professional teeth whitening. Cosmetic bonding is a procedure that uses composite resin, the same tooth-colored material used for fillings, to alter the shape or color of a tooth. It is placed on the tooth in its soft, liquid form and then hardened. What Cosmetic Issues Can Bonding Correct? Bonding can help close gaps between teeth, repair chipped teeth or reshape teeth that are too small or irregularly shaped. The procedure can also cover deep-set stains, cracks or pits on tooth surfaces. How Is the Bonding Procedure Performed? 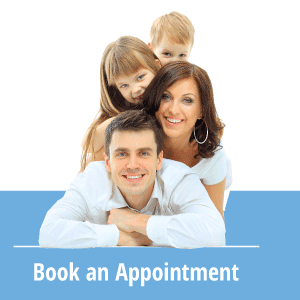 Bonding is a simple procedure that can be performed in just one visit to your dentist. First, the composite resin material is colored to match your natural teeth. Next, your dentist will place the material, which resembles putty, onto your tooth and mold it into an aesthetically pleasing shape. After the resin is hardened under a special light, your dentist will shape and buff the hard material with a polishing tool until your repaired tooth has the same enamel-like sheen as your other teeth. This procedure can often be done although some patients have issues down the road with the filling material discoloring and staining so it may not be a long-term option for you. A veneer is a thin, durable shell made of porcelain that your dentist bonds to the front of a tooth. Veneers can be used to correct the same types of issues as bonding, including broken, discolored, misshapen or widely spaced teeth. They can also be placed over slightly crooked or overlapping teeth to create the appearance of straight teeth, something that normally takes a year or more using braces. They are also meant to last a lot longer than cosmetic bonding. Veneer placement begins with your dentist gently buffing away a small portion of the enamel on the teeth being treated. This is done to create room for the porcelain veneers. Next, your dentist takes an impression of your teeth, which he or she will send to a dental lab so that a skilled technician can create your restorations according to the size, color and shape specifications that you have chosen. You may be given temporary veneers to wear while your permanent ones are being constructed. When the veneers have returned from the dental lab, your dentist will affix them to your teeth with a strong bonding material.